Avira Antivirus Pro is a comprehensive antivirus software for Windows and Mac OS X, that secures your data, protects your privacy, and keeps your PC malware-free. It's the quick and easy way to protect yourself from online threats - without all the hassle. Avira offers best-in-class technologies such as Smart A.I. - a unique, deep-learning algorithms that protect you from the latest threats and "Intelligent Repair System" - a technology that repairs damage caused by malware to your files. Avira's Antivirus program also features a Protection Cloud Technology, an early-warning system that anonymously analyzes unknown files in the cloud, from millions of users, to protect you from threats as they emerge in real-time. Furthermore, Avira also include Anti-Ransomware protection that stops ransomware before it can do you any harm. Avira blocks 1 million+ ransomware attempts every month, averting damages of over 600€ per attack. Avira’s antivirus technology is trusted by more than 100 millions users and has earned the industry’s best scores for detection, usability, self-defense, repair, and low system impact. 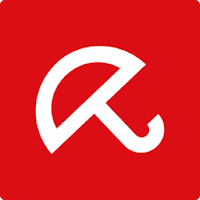 Note: Avira Antivirus Pro 2017 is a shareware app that is also available in a free edition - Avira Free Antivirus. Grab special Avira deal valid at official Avira store! Disclaimer: Direct downloads for the lastest version of Avira Antivirus Pro 2017 15.0.31.27 are provided by the official software's author, we can't guarantee safety, availability or download speed. Moreover, we don't and we won't provide any pirated/illegal versions or tools. We recommend you to avoid it as these methods can harm your device. If you like the software, buy it to support the developers. (We provide software discounts for many worldwide brands).